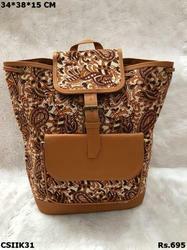 Ladies Designer Backpack balanced structure provides greater load stability. 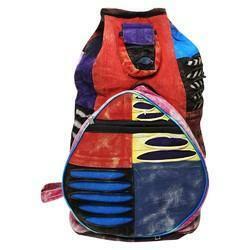 We are a prominent organization that is engaged in offering qualitative Multicolor Ladies Canvas Backpack. These are manufactured keeping in mind the latest market trends and requirements of our esteemed customers. The adjustable straps and the short handle of this Yellow Backpack makes it easy to carry.